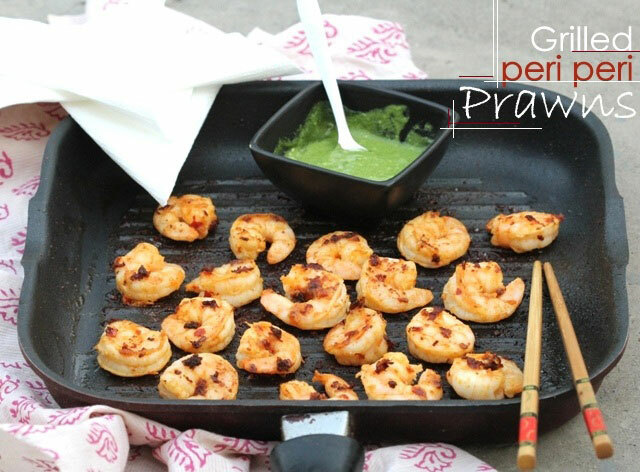 Perfectly grilled prawns, marinated in minimal spices and hot peri peri sauce. 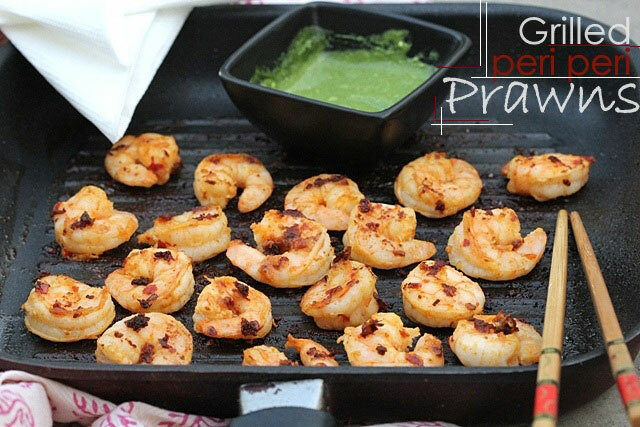 It was about time that this recipe was made, clicked and shared, for one we love prawns and two that peri peri seems to have evolved as our favourite flavour in grills (remember the peri peri grilled chicken). So this small bottle of Nando’s hot peri-peri sauce is highly recommended, trust it is widely available at most gourmet stores these days, even if in some other brand do make sure to buy one if you love grills. Peri peri is a flavour that’s pretty awesome not just with meats or fishes but also with paneer (cottage cheese) or potatoes. 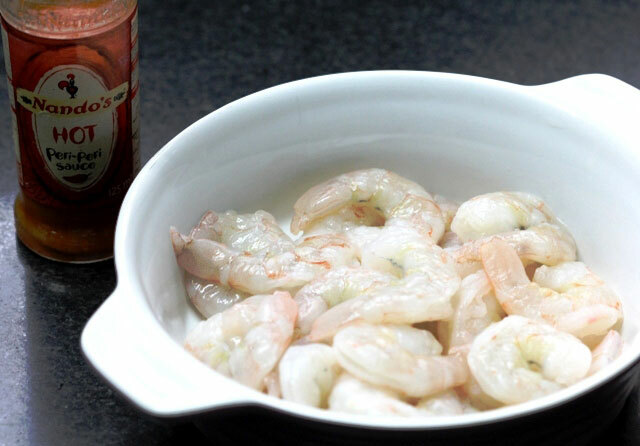 It may seem as if my post is turning into a review of the peri peri sauce, but be assured it’s about the made in heaven marriage of peri peri flavour and prawns. I’d say this combination is even a tad bit better than how it turned out with Chicken, but that statement could be for my partiality for Prawns. 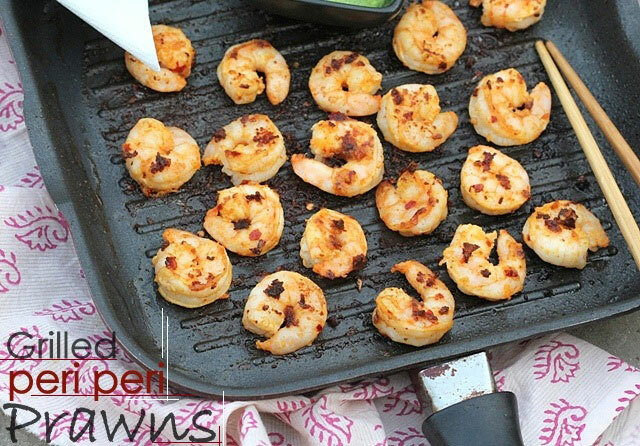 Without any much ado I implore you to try my absolutely quick, no fuss grilled peri per prawn recipe, for the love of grills, prawns, and hot spicy flavours. 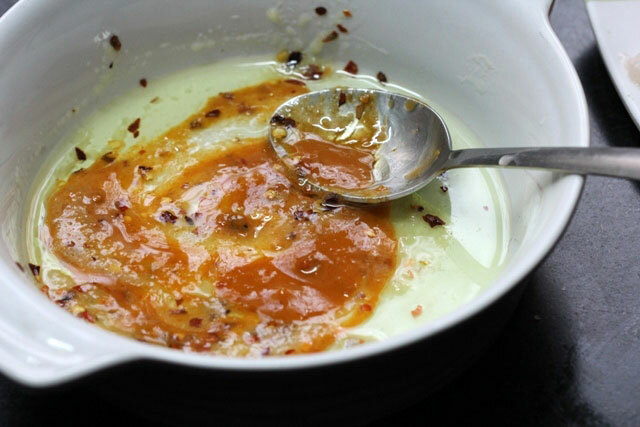 Before grilling, prepare the dip by mixing the curd with green coriander chutney and dressing up with salt to taste. 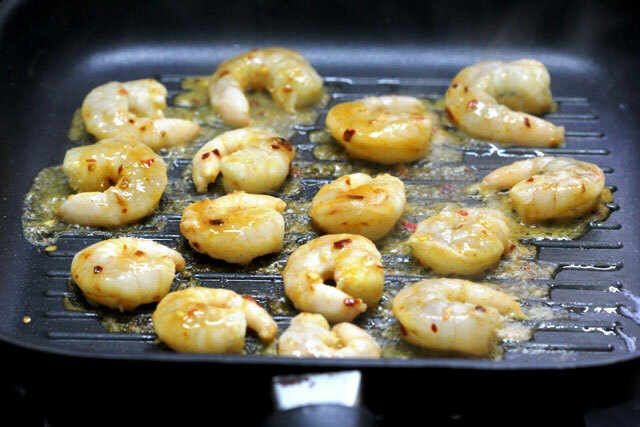 On an absolutely hot grill cook the marinated Prawns for not more than 2 mins on each side, just until it turns pink. Do drip all the leftover marinde over the prawns with a spoon. 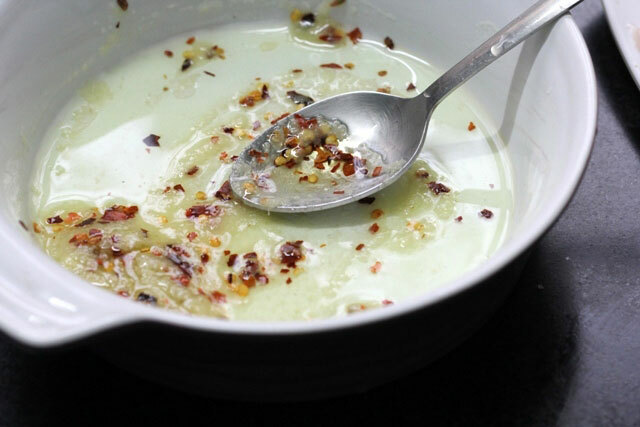 Serve hot with a dip of your choice like the mayo or we best like it with this green yogurt dip. Enjoy the quick bite!! 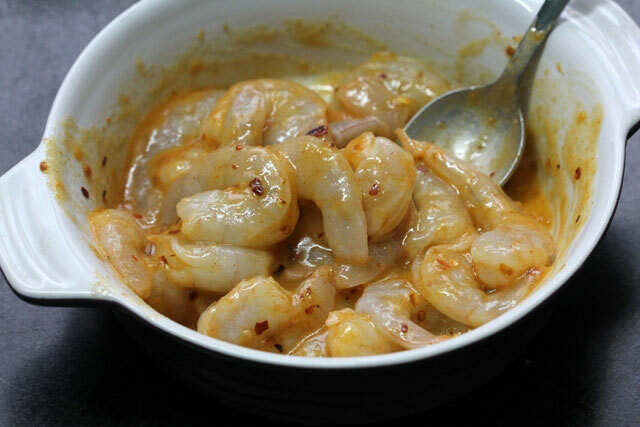 We don’t need any tips for such a simple and quick recipe; just do not overcook the prawns.